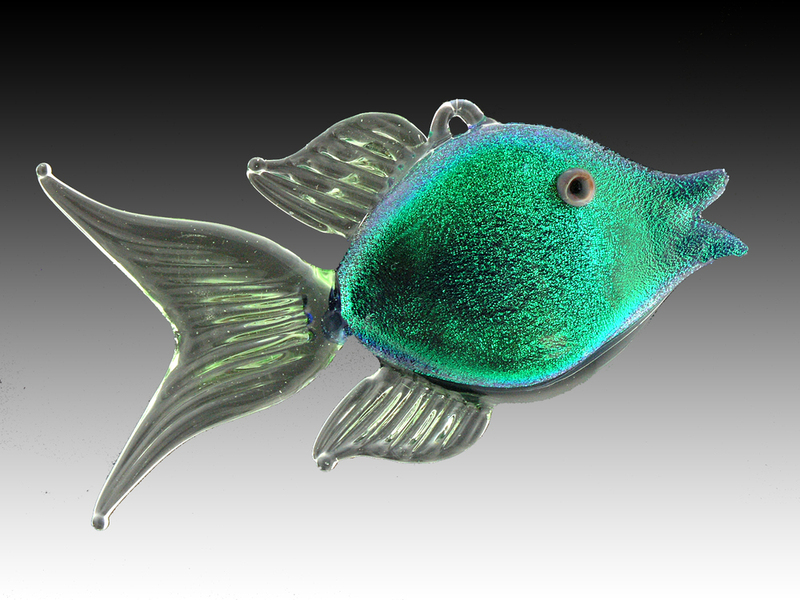 These bright and happy fish are approximately 4 inches in lengthand about 1/4 inch in thickness. 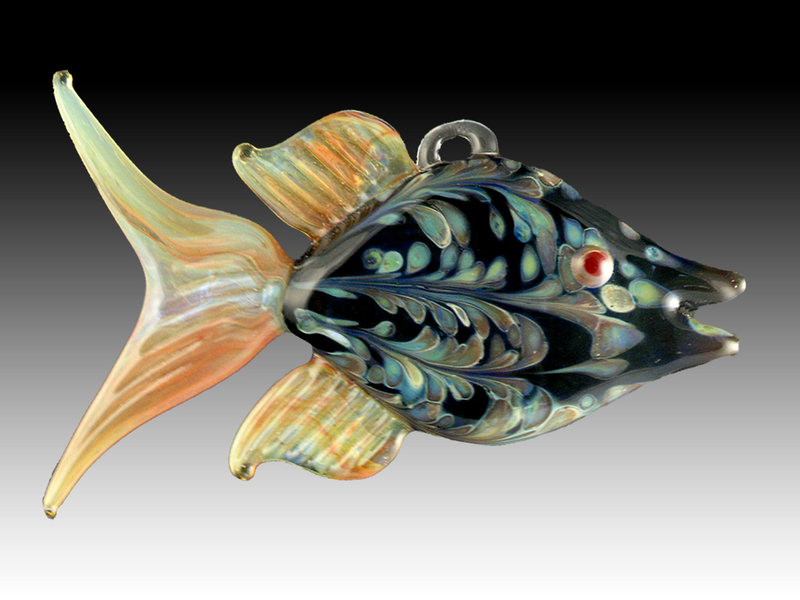 They come in two types of color patterns - Speckled, Striped and Dichroic. Nearly any color combinations are possible, so, when ordering, please tell us what your color preferences are.